A New Orleans judicial watchdog group says bail is being set unevenly in Orleans Parish, resulting in dangerous criminals being released while nonviolent offenders get stuck in jail. 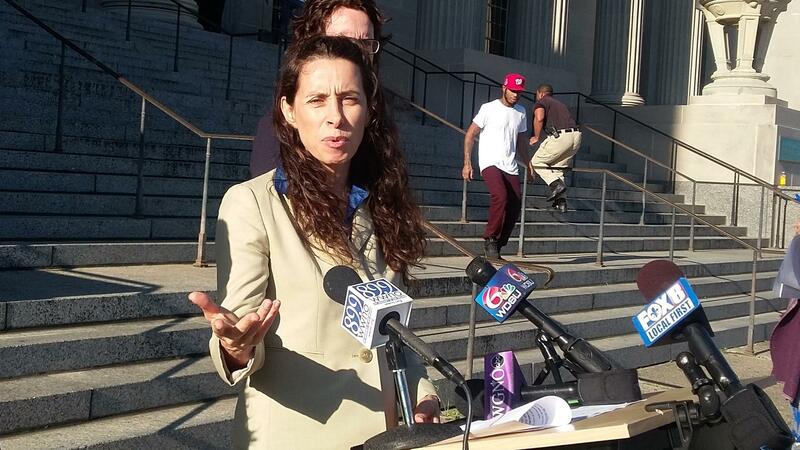 Court Watch NOLA Executive Director Simone Levine says a new report finds problems at Magistrate Court. Court Watch NOLA's latest report focuses on the criminal magistrate's court, which handles all state felony and misdemeanor cases. Executive Director Simone Levine says judges could use suggested federal guidelines to ensure bail is set fairly. “When judges make pre-trial release decisions based solely on the defendant's pending criminal charges, then we end up releasing high-risk defendants into our community that go on to commit new crimes and who will not return to court — and we cause unnecessary incarceration of low-risk offenders that cost us more as taxpayers and unnecessarily and unconstitutionally infringe on a person's liberty," she said. As an example, she highlighted the case of notorious criminal gang leader Telly Hankton, who easily made a $1 million bail in a 2008 murder and then committed another. “That $1 million dollars' bail did not make us any safer," she said. Hankton is now serving two life sentences on federal and state convictions. Levine says there has been some progress in pretrial screenings resulting in more low-risk defendants getting bail, but the group found unequal treatment for defendants using private attorneys over those with public defenders.